Healthy Ginger Tea, Jar Of Honey, Ginger Root, Dried Lemon Slice,.. Stock Photo, Picture And Royalty Free Image. Image 47628006. 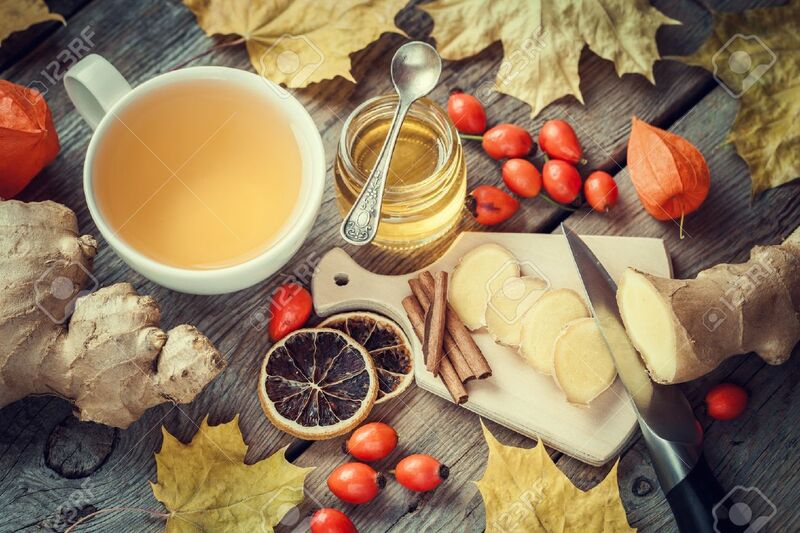 Stock Photo - Healthy ginger tea, jar of honey, ginger root, dried lemon slice, wild briar and cinnamon on table with autumn maple leaves. Top view. Healthy ginger tea, jar of honey, ginger root, dried lemon slice, wild briar and cinnamon on table with autumn maple leaves. Top view.